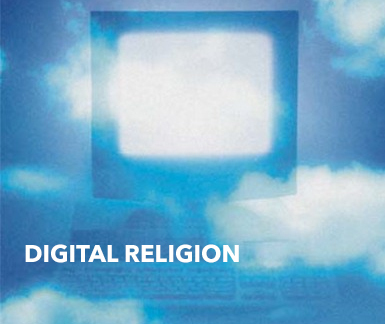 A NEW PHASE in our Digital Religion work: The Center for Religion and Media at NYU has received funding from the Henry R. Luce Initiative on Religion in International Affairs for a new project on RELIGIOUS STAKES IN DIGITAL TIMES: SCHOLARS AND JOURNALISTS IN CONVERSATION. We plan to invite one post-doctoral fellow each academic year for three years, beginning in September 2016. Watch for our call for applications soon! 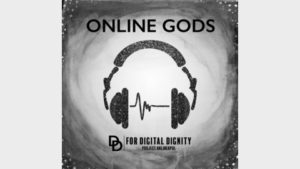 Details of the project follow below, as well as links to our previous initiative in Digital Religion. Religious Stakes in Digital Times: Scholars and Journalists in conversation will initiate new work on the role of religion in international affairs. Carrying forward an evolving sense of what “international” means, we will foster new research, writing, and exchange on the role of religion in the world today. We understand “international” to mean something that comprises both us andthem, inextricably linked by, and overflowing beyond, borders that are increasingly blurred through digital instantaneous communication. Religious experience, like so many other forms of experience in a digitally linked world, travels fast, and travels globally. This insight has, in turn, prompted us to enlarge our original “international frame” to include explicitly American religious life: It’s time to think of everyone, ourselves especially, as international, as interlinked in the digital world. Tracking this linkage through religion is crucial. We are convinced that one cannot overlook the importance of experience on the ground or the knowledge acquired through deep study—the human, corporeal elements brought by journalists and scholars to broadening our understanding of religion in an internationalizing, globalizing world. Joining us in conversation about religious stakes in digital times will be scholars and journalists who are able to take a step back and write thoughtfully and critically about what we talk about when we talk about religion. The grant will allow us not only to continue publication of The Revealer: a review of religion and media, published by The Center for Religion and Media since 2003, but to invite into the Center a new post-doctoral fellow each academic year for three years to write and program with us. We will seek scholars with projects in hand who want to engage with other academics, journalists, and activists as part of their work. Call for applications available here. Digital Religion: Knowledge, Politics and Practice, (September 2011- August 2013) also funded by Luce, studied how religion intertwines with the update of digital/social media in recent unprecedented social and political transformations—in in particular but not exclusively in the Middle East, North Africa, and Central and Southeast Asia–along with the implications of these developments for international relations. After originally underwriting the project for an exploratory workshop in March 2010, Luce awarded the Center a two-year grant for this further work. Programming links below for 2010, 2011, 2012, 2013. This conference explores religious and ethically-driven digital mediations shaping and shaped by globalization in Asia, from documentary and feature film, to innovations in digital storytelling and online activism. When ancient writings of Sanskrit and Tibetan texts vanish during the political turmoil of the 1950s and 1960s, the history of a whole society is in danger of disappearing. Scholar E. Gene Smith devotes the remainder of his life working with Tibetan Lamas and others in rescuing these texts, culminating in a digital archive. Discussion follows screening with Executive Producer Bill Harris; Laura Harrington (Religion Department, Boston University); and Robbie Barnett (Modern Tibet Studies Program, Columbia University). Co-sponsors: NYU Abu Dhabi, the Hagop Kevorkian Center for Near Eastern Studies and the Asian/Pacific/American Institute. With generous support from the Henry R. Luce initiative on Religion & International Affairs. How have digital technologies entered Jewish life, changing ideas of moral authority, community, gender, education and more? This panel discusses how social media — Jewish gaming, Hasidic blogging, orthodox Facebook sites are changing ideas of moral authority, community, gendered subjectivity and more, while transforming possibilities for Jewish communities in the worlds around them. With Ayala Fader (Anthropology, Fordham); Owen Gottlieb (Steinhardt, NYU); Rachel Wagner (Religion, Ithaca College); and Jeffrey Shandler (Jewish Studies, Rutgers). Co-sponsors : NYU Abu Dhabi. With generous support from the Henry R. Luce initiative on Religion & International Affairs. Bishara talks about her new book on Palestinian journalists who contribute to U.S. news behind the scenes. A documentary on Houda al-Habash, founder of a Syrian Qur’an girls’ school that challenges students to live Islamic lives without giving up their dreams. Religion, politics, and performance have been deeply intertwined with the contemporary circulation of media in the recent unprecedented social and political upheavals in the Middle East, North Africa, and the burgeoning Occupy movements throughout the world. We have seen public spaces transformed into contested arenas for staking political, and ethical claims on the body politic through creative performances, ranging from the dramatic to the comedic. These and other sites of recent “spectacular activism” have gripped the public imagination over the past year, as have prior movements such as Gandhian satyagraha, the American Civil Rights movement, and the role of Buddhist monks in the Burmese Saffron revolution. This conference invites analysis of the role of religion in mediated performances of all sorts in these and other local political and cultural movements that have garnered attention on the world stage. What role have social media and the Internet played in the ongoing political negotiations among conservative Muslims, moderates, and secularists in contemporary Iran? How have these new digital initiatives launched an awareness of cultural activists on the world stage? Simultaneously, such visibility also has put people’s lives in danger, especially in the wake of the 2009 elections. How have these developments led to new forms of digital creativity? In the year following Egyptian revolution, peaceful demonstrations have given way to increasingly violent and sectarian strife. Digital films and social media have documented and brought to the wider public’s attention the experiences of women and minority populations in Egypt’s ever-changing social and political climate. This panel brings together filmmakers, journalists, and analysts to discuss the recent past and potential future of the country and how social and digital media continues to impact and frame the course of events. The Arab media representing much of the Muslim world are in the midst of a revolution that will inform questions of the transforming role of religion, war and peace, political and societal reform, and relations between the West and the Arab World. How do Arab journalists see themselves and their mission in this critical time in the evolution of a diverse Arab media landscape? What role does the Arab media play — particularly in a seemingly borderless digital age — in representing a Muslim world regarded with suspicion by the West to that part of the world, and in representing the complex and competing understanding of Islam in Muslim nations. The documentary Silencing the Song: An Afghan Fallen Star (Havana Marking, 2010) follows Setara Hussainzada after her ill-fated appearance on the popular Tolo TV show Afghan Star, when she scandalized the country by dancing — modestly — and allowing her scarf to drop to her neck, leading to death threats from conservative Muslims. Even in the urban capital of Kabul there is constant harassment, including by the local authorities fully backed by the USA as a counterweight to the misogynist Taliban. Her story, carefully explored in this acclaimed film, embodies longstanding tensions regarding the place of Islam and the presence of women in Afghanistan’s emerging and rapidly expanding public sphere, from television to digital media. This program will screen the film, followed by a panel discussion.